... world peace. 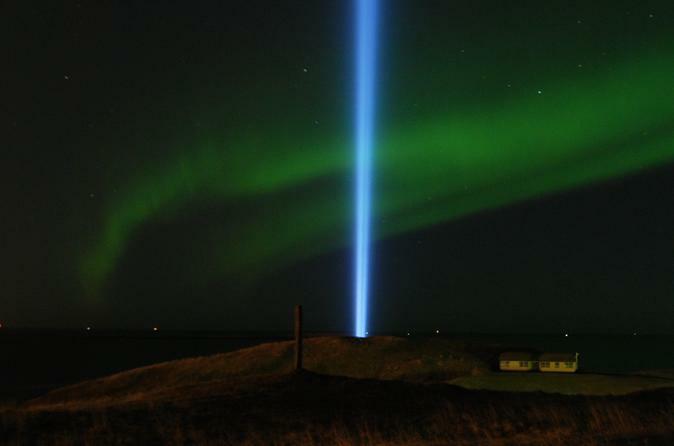 Sail to Viðey Island and hike to the Tower, which lights up the evening sky from October through December. Viðey is the largest island of the Kollafjörður Bay near Reykjavík and a perfect weekend retreat. Viðey is the largest island of the Kollafjörður Bay near Reykjavík and a perfect weekend retreat. A 30 minute ferry ride from the Skarfabakki pier, the island offers a rich mix of historical attractions and natural beauty. It has archaeological ruins from settlements of the early 10th century, and also had an Augustine Monastery in the 13th– 16thcentury. Explore the island to see other historic attractions such as ✔Iceland's first stone house Viðeyjarstofa (1753) that was home to the father of Reykjavik Skuli Magnusson, ✔Viðeyjarkirkja or Viðey Church from 1774, ✔Viðeyjarnaust Cabin, ✔Old School House and ✔Water Reservoir on Sundabakki. 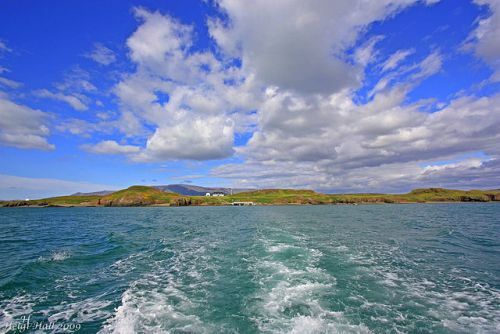 The island is frequented by about 30 avian species, and has 156 species of flora. 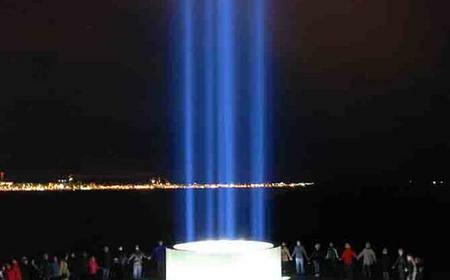 Other highlights are the ✔Imagine Peace Tower erected by Yoko Ono to honor John Lennon featuring a 70 kW vertical searchlight and 'Imagine Peace' inscribed in 24 languages on the wishing well, ✔statue of the Virgin Mary on Kvennagönguhólar, and ✔Richard Serra's Milestones with a series of 9 pairs of basalt columns.